Rocketr's Payments platform allows you to accept a variety of payment methods from a single dashboard location. We allow you to combining today's top payment methods such as PayPal and credit cards with the payments of tomorrow through cryptocurrency. With our API you can easily customize checkouts to accept a variety of payment methods. Our API also allows for webhooks and instant payment notification that notify your application when an order is completed. Integration with the API is made simple and requires few lines of code. Explore our example below or visit the API documentation for more info. Looking for something simpler? 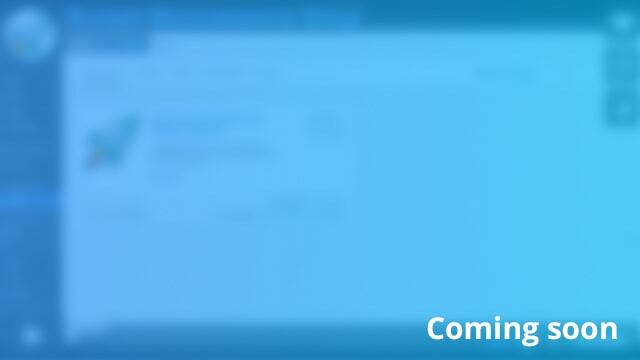 Explore our custom checkout buttons for a copy and paste HTML solution. Creation is simple and embedding can be done in as little as one step! Visit our custom button generator below by visiting the Accept Payments tab in your Rocketr Payments account. 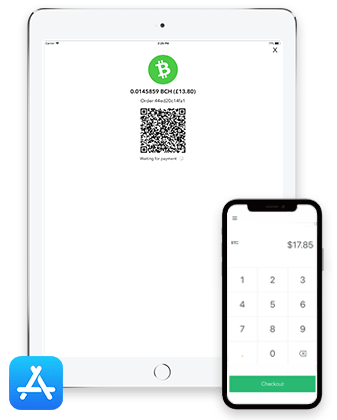 Our Point-of-Sale app allows you to easily accept Bitcoin, Bitcoin Cash, Ethereum, and Litecoin payments from your phone or tablet device. This is ideal for restaurants, food trucks, shops, and other brick and mortar locations. The PoS allows for custom tipping, email receipts, custom order IDs, and much more! Click here to download our POS App from Apple App Store. Already have an online store? Interested in integrating with checkout and e-commerce platforms such as WooCommerce or Shopify? Look no further, Rocketr's integration team is hard at work building new and exciting plugins for all of your favorite eCommerce platforms! Click to install makes this a goto feature for some of our favorite digital entrepreneurs. View our setup video below to see integration made easy on WooCommerce. 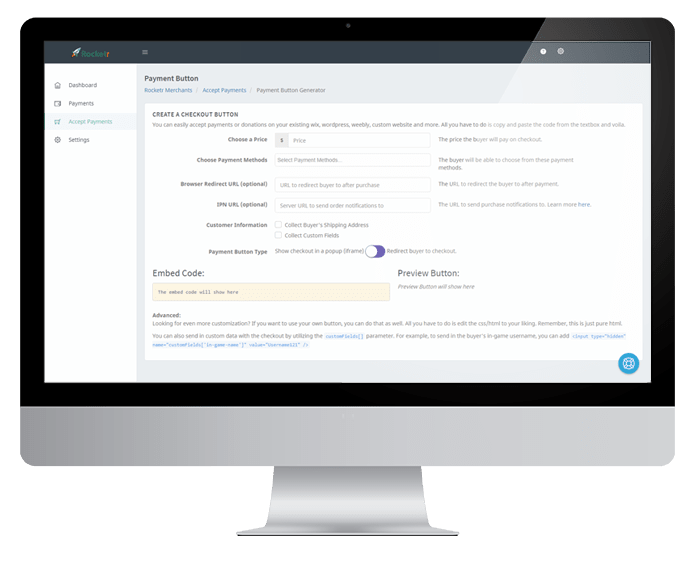 With Rocketr's emailable invoices, billing a client has never been easier! In only seconds you can generate custom billing slips for your customer to pay in a currency of her choice. This feature is coming soon. 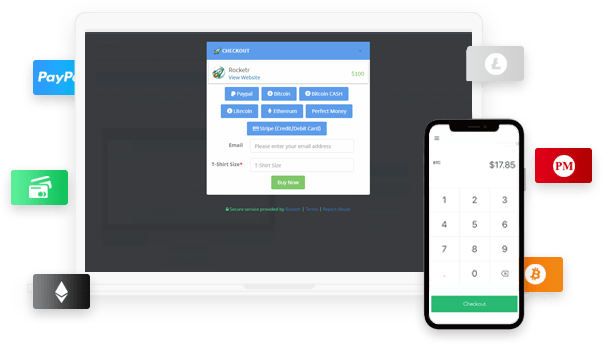 Rocketr offers a full suite of tools to run multiple payment gateways at scale without hastle.